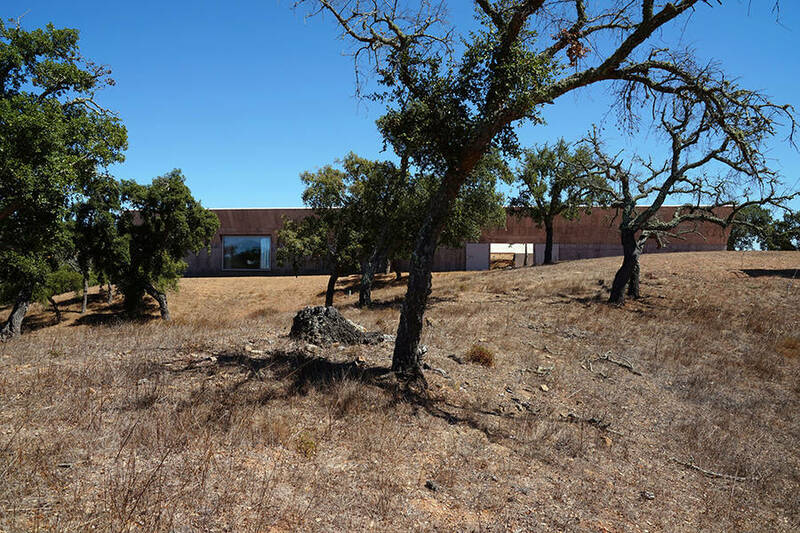 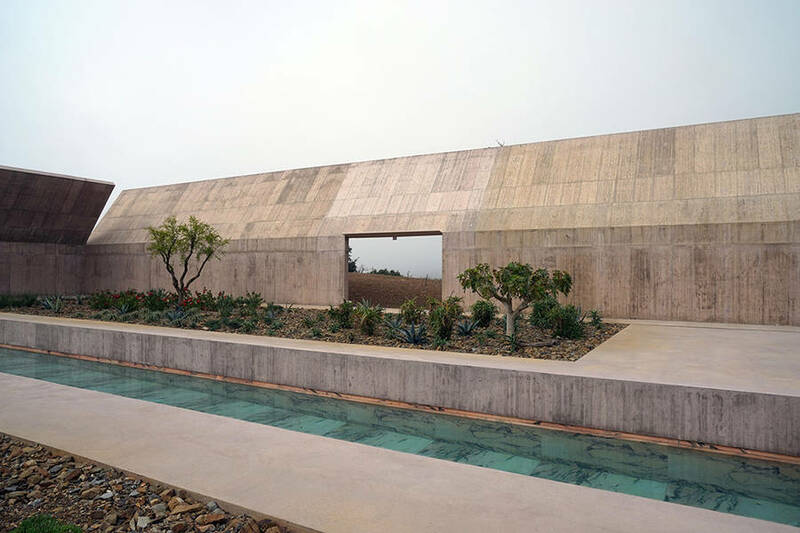 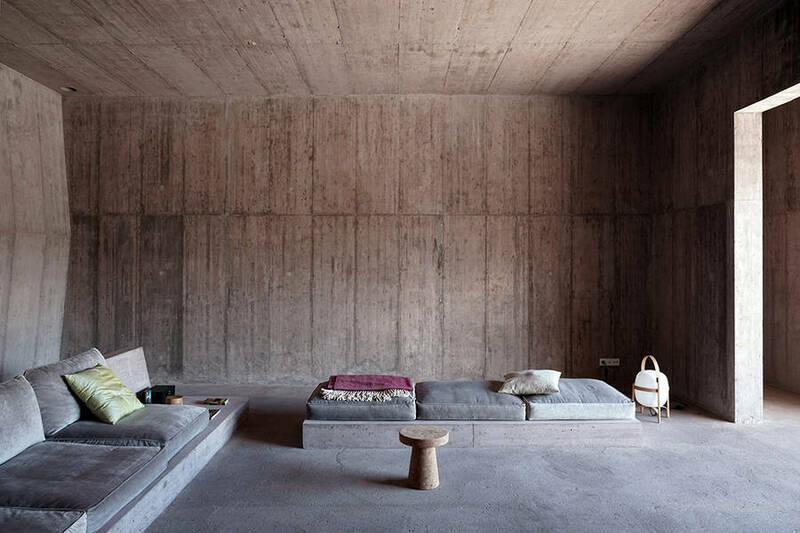 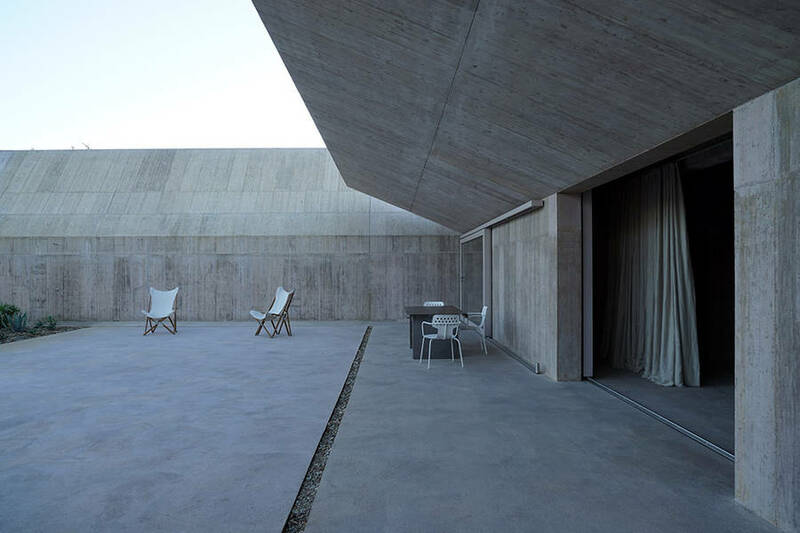 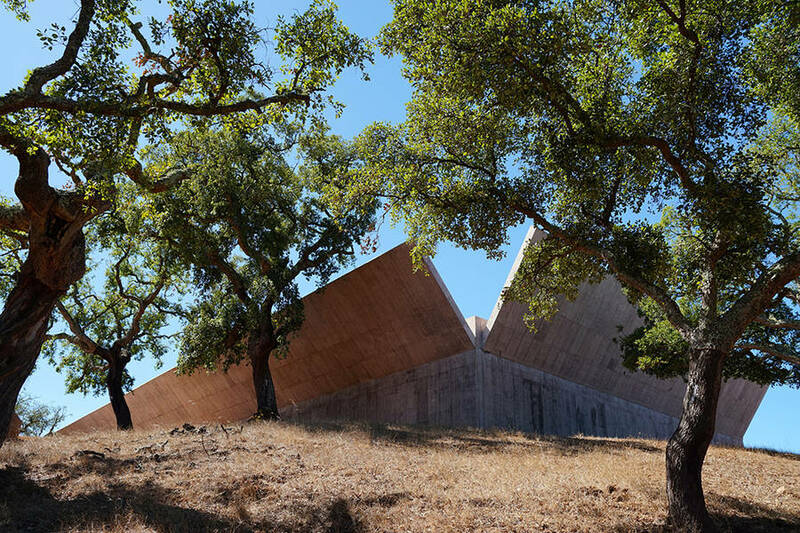 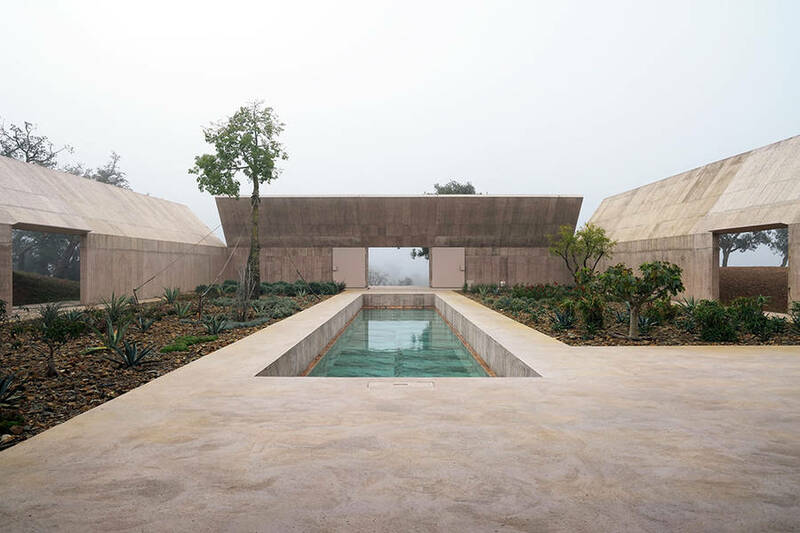 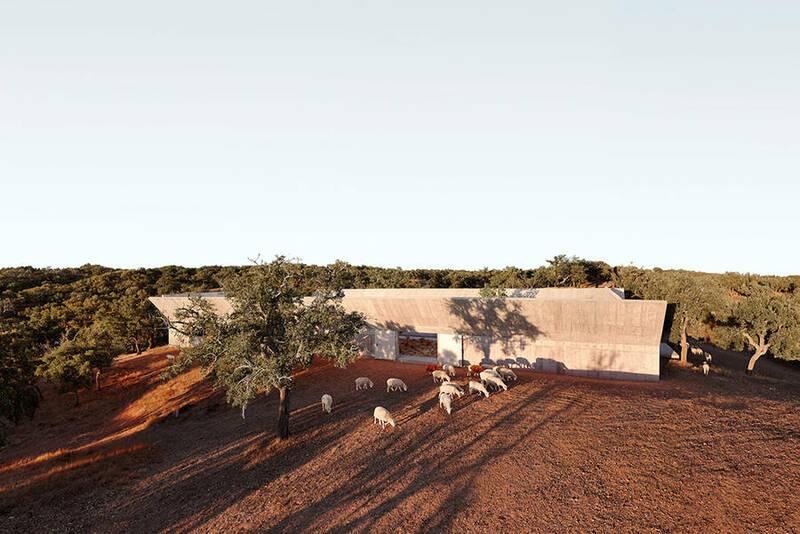 Villa Além is a project developed by Swiss architect Valerio Olgiati, located in the dry and rural zone of Alentejo, Portugal. 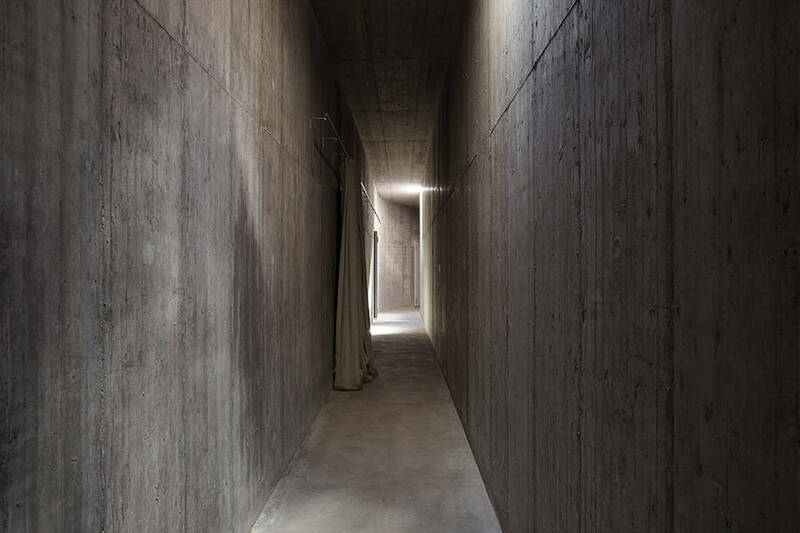 The fascinating structure of the complex features long hallways, surrounding walls raising towards the sky contrasting with concrete. 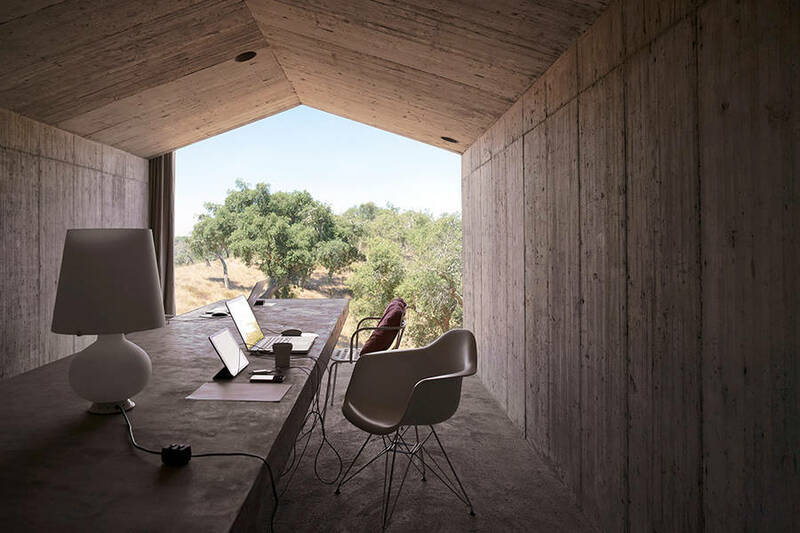 Interior and exterior are subtlety linked, so that people can enjoy secluded sunny garden and directly retreat into secret shady spaces. 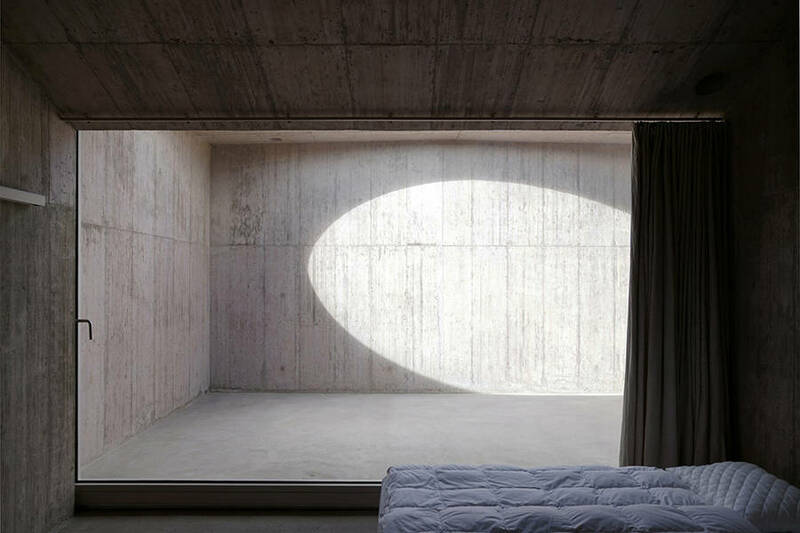 More in images.